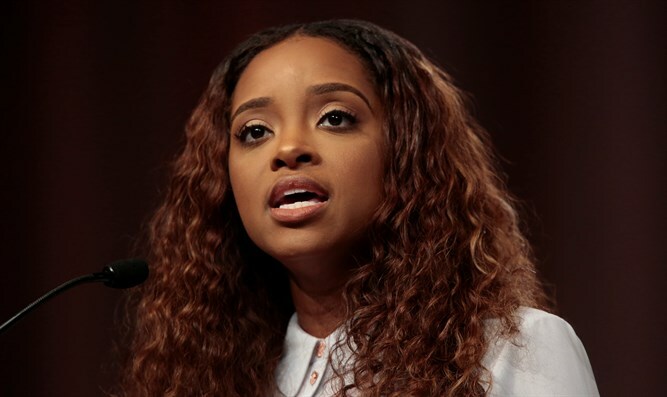 Tamika Mallory says Jews 'uphold white supremacy', following accusations she and other Women's March leaders peddled in anti-Semitism. One of the leaders of the Women’s March has come under fire for accusing Jews of perpetuating white supremacy, in a statement intended to deflect criticism for prior claims of anti-Semitism. In a statement to The New York Times Sunday, Women’s March leader Tamika Mallory said that “white Jews” continued to “uphold white supremacy”, even as Jews were “targeted by” white supremacy. “Since that conversation, we’ve all learned a lot about how while white Jews, as white people, uphold white supremacy, ALL Jews are targeted by it,” Mallory said. Mallory spoke out in response to a report earlier this month by Tablet, which claimed that Mallory and fellow Women’s March co-chair Carmen Perez had accused the Jewish people of special collective responsibility as exploiters of black and brown people, and blaming Jews for the trans-Atlantic slave trade. The Women’s March has been dogged in recent months by accusations of anti-Semitism, stemming in large part from comments by co-chairs Mallory, Perez, and Linda Sarsour – as well their ties to the Nation of Islam. Sarsour in the past praised both the Nation of Islam and the group’s founder Elijah Muhammed, calling the NOI an “integral part” of Islamic history in America. In 2017, Mallory extolled Nation of Islam chief Louis Farrakhan as the ‘greatest of all time’, posting a picture of herself with the NOI leader. Farrakhan, who in 1984 praised Adolf Hitler and derided Judaism as a “gutter religion” earlier this year compared Jews to termites. The Women’s March, it was later reported, had employed Nation of Islam members for its security detail.